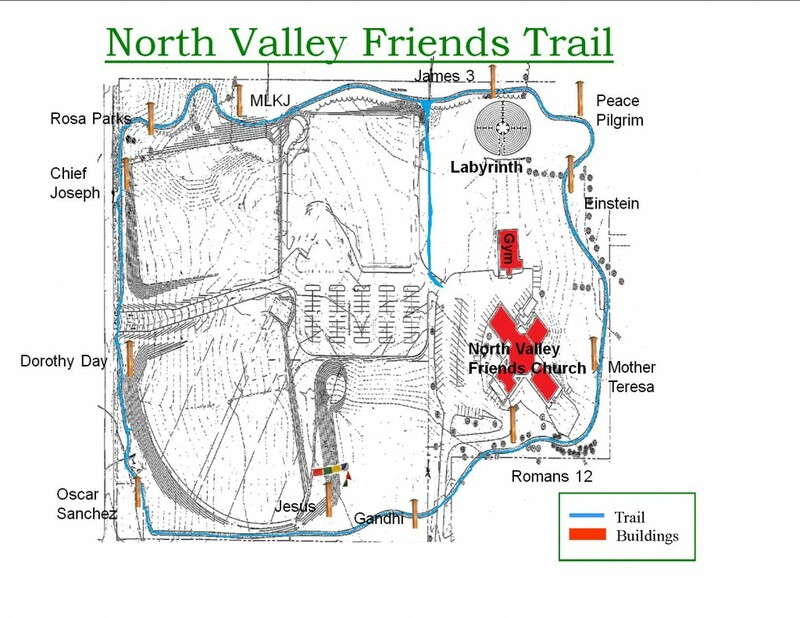 The North Valley Friends Trail is located north of Newberg, OR. From Highway 99W in Newberg, take College St. north just out of town. North Valley Friends Church is on your right. The trail goes around the property with entrances to the west and east of the parking lot. Click here for a PDF of the trail map, or click the map below for a larger image.